(CNN)— Brittany Maynard, the 29-year-old who said she had terminal brain cancer, took medication to end her life under Oregon’s ‘Death with Dignity Act,’ advocacy group Compassion & Choices said Sunday. 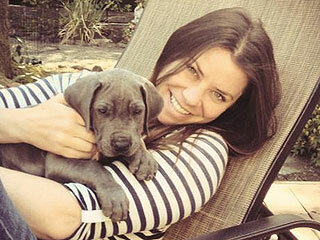 Brittany Maynard was an incredible young woman. She lived her life as she saw fit. And she ended her life as she saw fit; not enduring the agony of a terminal brain cancer, but rather choosing to die with dignity, foregoing further deterioration and suffering. Some years ago my friend Tom faced the same choice. At age 24 he started feeling like something was very wrong. It was. His body was spotted with all kinds of cancerous cells. Like Brittany, he too made it almost to his 29th birthday, dying just 3 days before. Unlike Brittany, Tom chose to endure the pain and suffering, the loss of mobility and, eventually, mind. His death, too, was surrounded by family and friends. Why did Tom make his decision to suffer to the end, rather than to end his life with dignity? Tom trusted in God for his life and did not believe he had a right to tamper with the decision to end it. So, what is it to die with dignity? In Brittany’s heart and mind she believed she made the honorable, dignified decision. Tom made a different decision. Was his death any less dignified than Brittany’s? This comparison raises a serious philosophical question. Death is a complex issue. Who is the final arbiter of our passing? Soldiers sacrifice their lives for the lives of their comrades-in-arms; family members willingly put their lives on the line to save a brother, a sister, a child, a wife. But giving your life for another is not the same as taking your own life. The first is sacrificial; the second is self-centered. The question is— Do we have the right to make the decision to end our life? In many ways I can understand Brittany’s decision. In so many other ways, I cannot. It benefited her tremendously, I suppose. But it also deprived those she loved the experience of processing her death with her; through pain, suffering, disorientation, and the end. But can we truly call it death with dignity when her death was actually assisted suicide? She believed she was dead already. I believed she deprived those who loved her from their responsibility and joy of caring for her to the bitter end. Determining the morality of Brittany’s decision is something we need to discuss in this culture. Her choice should give us pause about our own ethic, or lack thereof, when facing our own mortality. We really do not want to think about such things until our own life is at stake. If the truth be known, we chose not to think much about anything smacking of ultimate realities. It is simply much easier to let life carry us on from one event to the next. This is not very smart. Sooner or later we will all have to face the tougher questions in life— some sooner than later. But if we do not face them, life will seem very cruel when it takes us by surprise. If we accept Brittany’s choice to take her own life (suicide) then we have progressed (?) to the point of convenient functionality in our society. If your father is failing, help him end his life. If your child is dying, do the same. Or maybe we need to establish a maximum age, say 70, beyond which the elderly are deemed non-productive and useless in contributing further to our society.